Shampoo with linseed oil and honey extract. 98% of ingredients of natural origin! 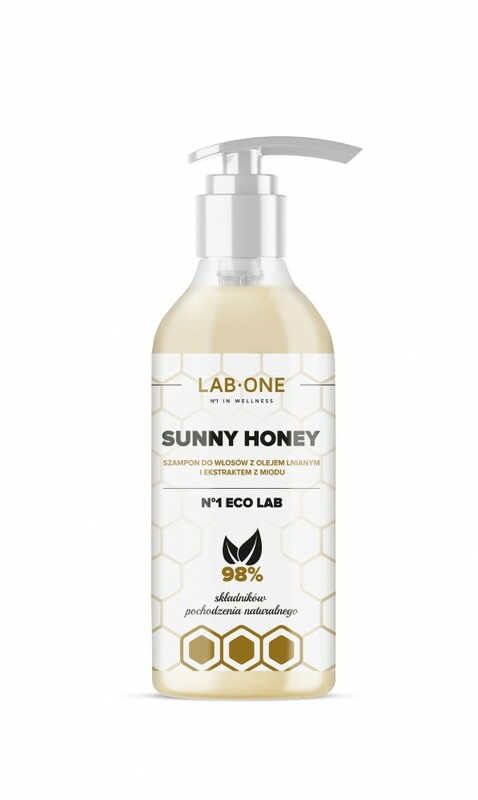 SUNNY HONEY is a delicate shampoo that will provide your hair with thorough cleansing, without irritating the scalp. Royal jelly is a natural substance produced by bees. First of all, it is a source of vitamins B, C, D, E and minerals such as calcium, silicon and phosphorus responsible for healthy hair. It is a great means of reducing the symptoms of seborrhea, seborrheic dermatitis and androgenic hair loss. Linseed oil used on the hair provides them with extraordinary smoothness, making the hair soft and shiny. It is particularly suitable for the care of dry and brittle hair, preventing them from splitting. In addition, lignans found in flax oil can slow down baldness in men through an appropriate effect on hormones. It reduces dandruff and hair loss, enhances their growth and completely regenerates. Coconut oil and honey extract provide deep hydration and nourishment, restoring elasticity and flexibility to hair. Coconut oil is suitable for atopic skin and affected by psoriasis - it moisturizes, nourishes and prevents bacterial superinfections. Apply a moderate amount of the preparation on wet hair and massage into the foam. After washing, rinse your hair thoroughly.